Survival and human resourcefulness are explored in this entertaining cross section of life in Angola. José Eduardo Agualusa presents a novel that turns self-preservation and fear into a prismatic exploration of survival. 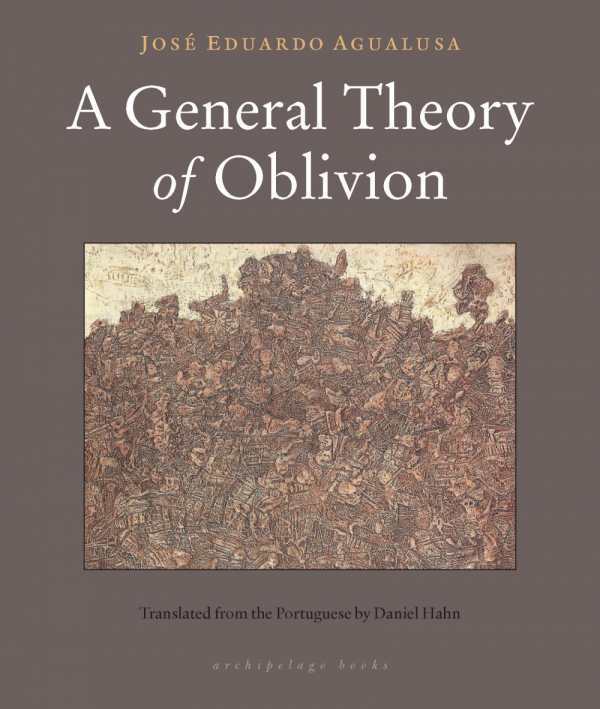 A General Theory of Oblivion—translated from the Portuguese by Daniel Hahn—features Ludo, a Portuguese exile who secludes herself in her missing brother-in-law and sister’s apartment on the eve of Angola’s independence. Building a wall to block the doorway, she begins an eccentric life of deprivation and diaristic creation that spans nearly thirty years. Brief tales follow a mercenary, a composer, an orphan, a businessman, and other bold characters to create an ample portrait of human resourcefulness. A writer and journalist whose awards include the Independent Foreign Fiction prize, Agualusa rounds the edges of harsh conflicts in a plot that relishes the absurd. Titled chapters, several of which stand alone as flash fiction, alternate between Ludo’s observations from her terrace, fragments from her diary, and the stories of neighboring passersby, many of whom are linked by the improbable journey of a carrier pigeon. The nonlinear arrangement cleverly allows new situations to inform past mysteries, while civil war and its aftermath unfold around Ludo. One memorable vignette depicts the good fortune that befalls a singer with a dancing pygmy hippo. Others reveal a man rumored to have been swallowed by the earth, a botched assassination attempt, and the fate of a man who feigns insanity to escape notice. A cast of determined hustlers and individuals seems emblematic of a country in upheaval. Opportunism, ingenuity, corruption, spontaneous kindness, hints of witchery, faith, animals, fashion-conscious men, strange encounters, accidents, the rural and modern—multiple elements meld in this entertaining cross section of Luanda. Backstory for Ludo’s isolation, which spells out a life-altering incident, seems less complete and arrives almost as a side note. Viewed from a broader perspective, her story is an aching reminder that memories may be pushed aside but can never be entirely rewritten. They rise to the surface with quiet forcefulness, refuse to fall into “oblivion,” and inform every gesture and word—a deceptively simple concept with fascinating ramifications.